A valuable piece of property fronting Government Street, across from the popular Square 46 development, could hit the market in the not-too-distant future. The state owns the property, which is in the heart of the revitalized Mid City area and is home to Capital Area Human Services. But the bonds used to purchase the property will be retired later this year, and the state is interested in selling, says Louisiana Division of Administration spokesman Jacques Berry. A recent appraisal commissioned by the state values the property at $4.3 million, Berry says. It sits on more than seven acres of land. There is no timeline yet, however, as to when the property would sell because the current tenant must first find a place to relocate. Capital Area Human Services Executive Director Jan Kasofsky says her agency is actively looking for a new home, hopefully in the same area to continue serving existing clients. She adds she is OK with relocating because she would prefer to move closer to a bus stop for convenient access. The agency has not identified a new location as of yet, though. All involved acknowledge the obvious reason behind the move to sell: The Mid City neighborhood is hot. The revitalized area has seen an explosion of new restaurants, shops and developments in recent years, and the state is sure to maximize its investment on a deal like this. 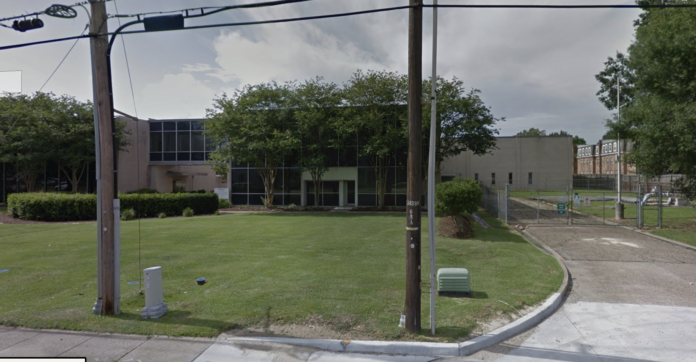 The building on the property also has a long and interesting history, as the former home of the infamous and long-defunct Champion Insurance, as well as the former Baton Rouge Water Works Company. There would be high interest among developers in acquiring the site, says Sam Sanders, executive director of the Mid City Redevelopment Alliance.